I remember a show from the 70’s called “Maude.” I wasn’t crazy about it and would read while my mom watched and knit. It was mainly background noise. We only got a couple of stations, more if you had someone willing to stand by the TV and be the antenna. I often found myself humming the lyrics and intrigued by “Joan of Arc, with the Lord to guide her – She was a sister who cooked.” I was too young to get the real meaning. Later I learned she was a French peasant who got messages from Archangel Michael and other saints to help Charles VII save France from the English. Then she became my heroine. 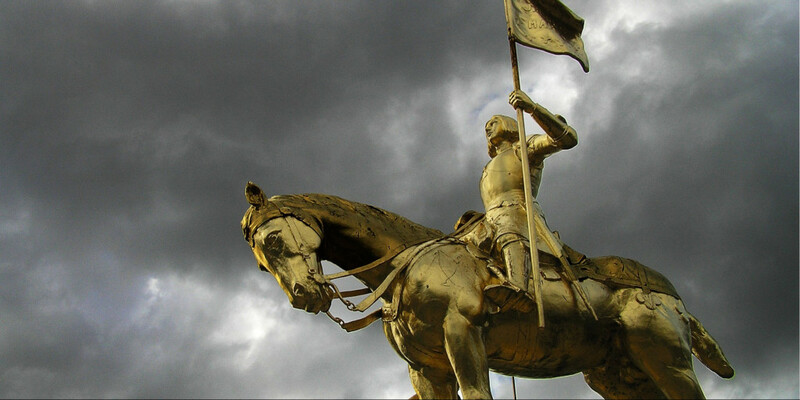 Joan of Arc’s legacy was the message that we should “stand our ground and don’t let the naysayers get to you.” Focus. Release fear. Fight for what you believe, even if the odds are against you. As a teenager, she went into battle and won a major victory. For her beliefs, she was later burned at the stake. The inspiration for this post came from working with young men and women who feel persecuted for their beliefs or situation or have an overdeveloped sense of responsibility. They keep fighting but get nowhere. The demons in our minds which we hear can seem like a battlefield. Sometimes the demons we hear are caused by people from the outside telling us nothing happened or we should “just get over it”. Sometimes our minds are providing us with an untimely instant recall. With all of this “noise”, it’s hard to find clarity. The situation is unhealthy on every level. Let me tell you, we aren’t here to live up to other people’s expectations! What matters is that we approve of ourselves. We don’t have to defend ourselves. For instance, we have the right to say “no” without an explanation. Just “no”. Which leads me to consider personal boundaries. Do you feel like everyone is your responsibility? Is it up to you to save the world from itself? Do people use you to defend their way of thinking or solve their personal problems? Do people tell you how to run your life and you do what they say? Do you automatically say “I’m sorry” or “I apologize” for things that aren’t your responsibility? Of course, not any of these questions are absolute. It’s when we answer any or all of them with a resounding “yes!” that the warning bells are evident. I lacked personal boundaries in my earlier caregiver roles. As caregivers, we can overdevelop a sense of responsibility for things that aren’t our task; things for which we can’t possibly be held accountable; or we succumb to guilt. We fail to say “No” and mean it. Clear boundaries help avoid arguments. For instance, when you ask someone to listen to what you have to say, and they keep talking over you. The discussion escalates, and they blame you. When really, they didn’t respect and honor your request to have a chance to speak. It’s your opportunity to point this out and let it go calmly. You’ve established your boundary as the need for honor and respect. Another example is when one person has not met their mark on a project at school, work, or similar. They try to detract the blame and have other people bail them out and when they don’t, they are defensive. Those on the receiving end have the right to stand up and say “No. You didn’t have everything done. We’ll work this out, but it was your responsibility to see it through. Let people know if you need some help.” Unshoulder the blame, don’t put the other person in a bad light and show compassion. And finally, you have it in your heart that a situation is wrong. It could be personal, business, school, or maybe social. Think of Joan of Arc. You know right from wrong. You’ve looked at the situation, and you’re going to defend what you believe to be right without listening to people convince you it’s the wrong step. Of course, you have to be ready to take the consequence of the outcome. 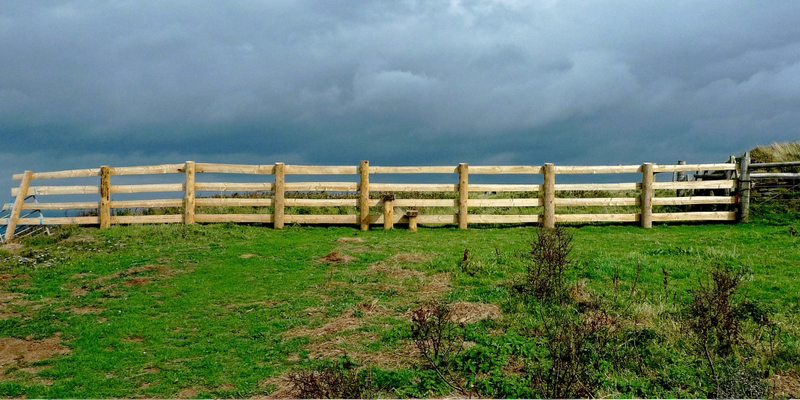 In the next post, we’ll explore which tools are needed and what boundaries look like. I’m glad you think so! I bet you aren’t surprised Joan of Arc is one of my heroines! A force of nature! Lessons that tie very well to your leadership books. Don’t forget to share the link to your book here!